By Naomi Alderman with Holly Gramazio and others, The Sun Stands Still is a piece about depression and, in particular, the connection with other people that is sometimes the surprising consequence of our own sadness. 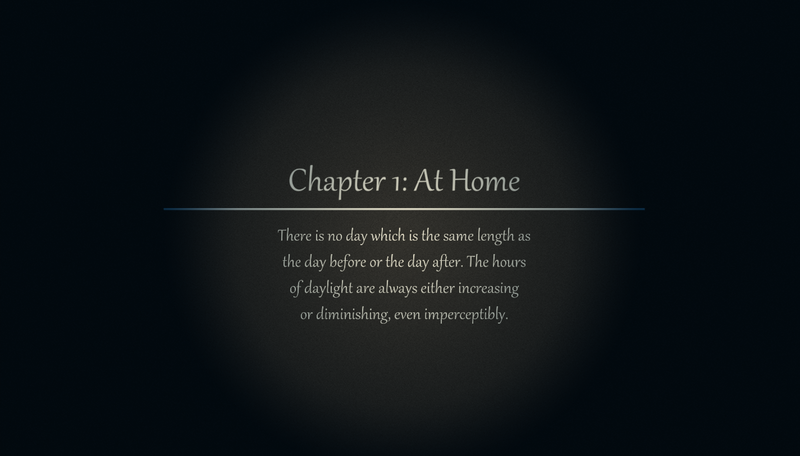 Gameplay consists of navigating home, store, and work environments, where you can turn on lights (or accidentally trip over junk on the ground) and find objects that you need in order to perform basic self-care tasks. As the game goes on, your home environment gets more and more oppressively messy, and it gets increasingly hard to play without frustrating slips. Nonetheless, you are not entirely alone, as the final scene shows. Cat Petting Simulator 2014 is what the box says: you have various options for petting a cat, and it responds with numerous cat gestures and cat responses. Rather have a parser-based kiwi companion instead of a Twine-based cat? Try Kii!Wii!. Queer Trans Mentally Ill Power Fantasy is about the fantasy of wholeness and health, for oneself and one’s friends. In one passage, you’re allowed to cycle through comforting or positive things that a friend might say to you — all submitted (if I understand correctly) from people describing the best thing anyone had said to them. Which makes it a sort of interesting inverse of Barbetween, sharing consolation in place of bad memories. This is a Real Thing That Happened. This is a game that asks you whether you want future players to win. When you play, if you win, it is because of the votes of previous players who wanted you to win. I played once and voted “yes, win.” Then, because I’m a curious person who likes to know how things work, I played again and voted “no.” Then I felt bad about leaving it like that, so I played a third time to vote yes again. 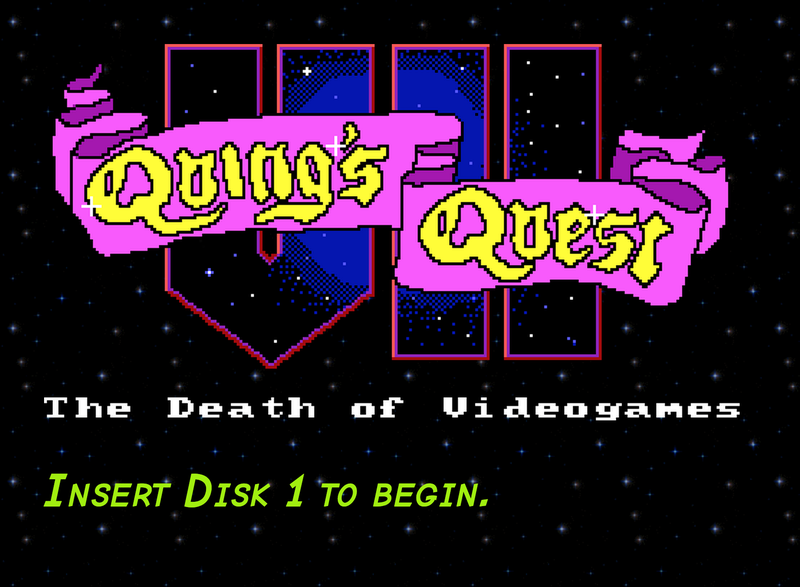 Quing’s Quest VII: The Death of Video Games is a Squinky Kiai Twine game about overcoming oppressive opposition using the power of dance and glitter explosions. Picturing a glitter explosion in place of whoever is currently Being Awful on the Internet is surprisingly cathartic, I find. This entry was posted in CYOA, game lists, interactive fiction, video games by Emily Short. Bookmark the permalink.